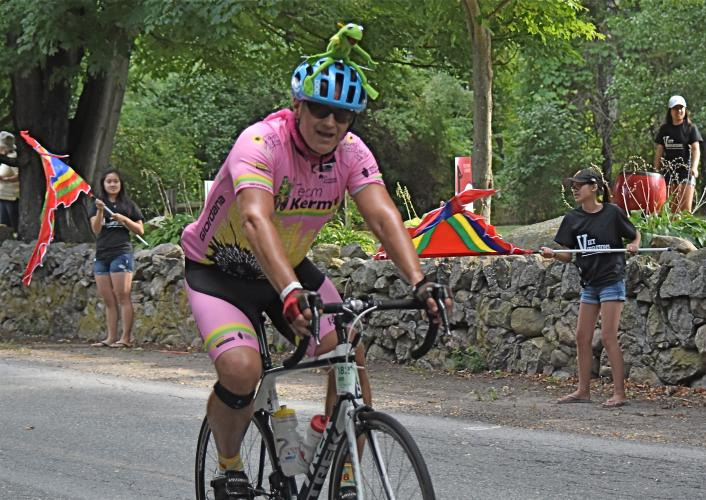 Dear Friends: In August, I will participate in my ninth Pan Mass Challenge to raise money to support the Dana Farber Cancer Institute's mission of cancer research and treatment. I continue to be motivated and humbled by the willingness of my friends and family to join me in this endeavor through their financial and emotional support. 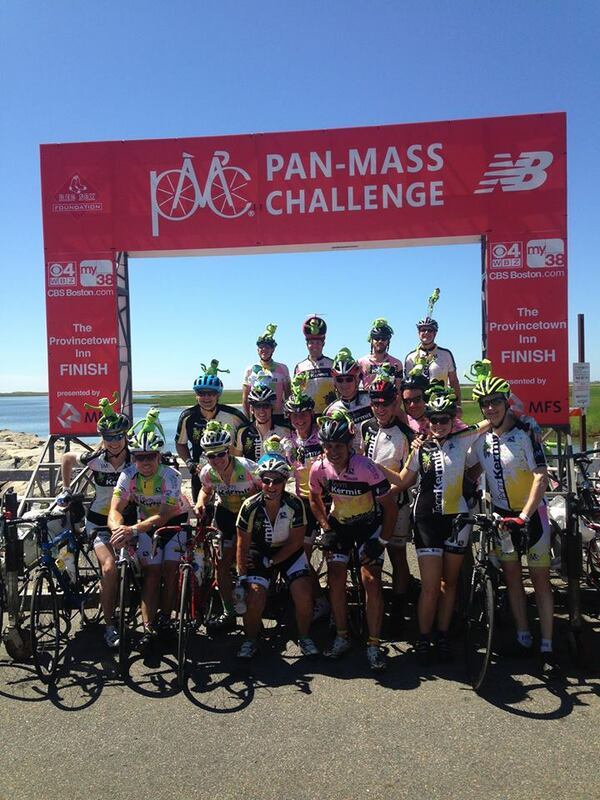 Last year, the PMC raised $56 million; 100% of which went to Dana Farber. With the help of my friends and family, I have raised almost $50,000 during the past eight years. Although last year was my most successful year ever, this year I am hoping to eclipse my previous totals. There is no question that this private support for cancer research has and will continue to lead to improved outcomes for cancer patients and their families. When I rode my first PMC, I was motivated by the memory of Mike Evan, my father in law, who died before his 51st birthday after a short but terrible fight with lung cancer. Little did I understand how all encompassing the PMC experience would be. The spirit of the PMC is like nothing I had ever experienced previously. Thousands of people pulling together to support a common goal. 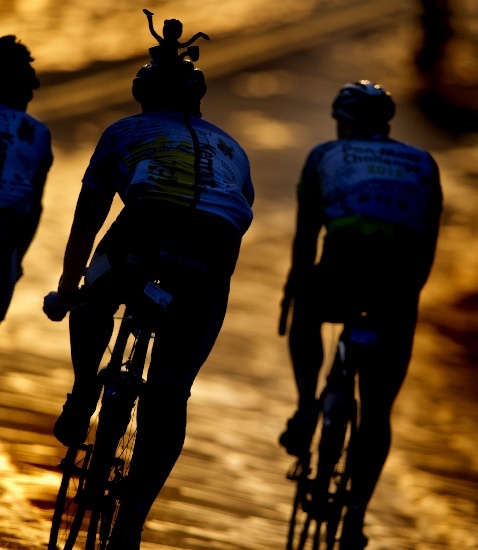 It is hugely motivating and the impact of all of this energy is tangible and exciting. 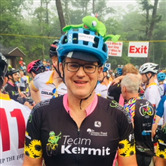 In 2012, I joined Team Kermit which rides in honor of Jared Branfman, a young man whose life was cut short by spinal and brain cancer when he was just 23 years old. The money we raise goes to the Sunflowers for Life Foundation to support research and care in the fight against this disease. The results are palpable. 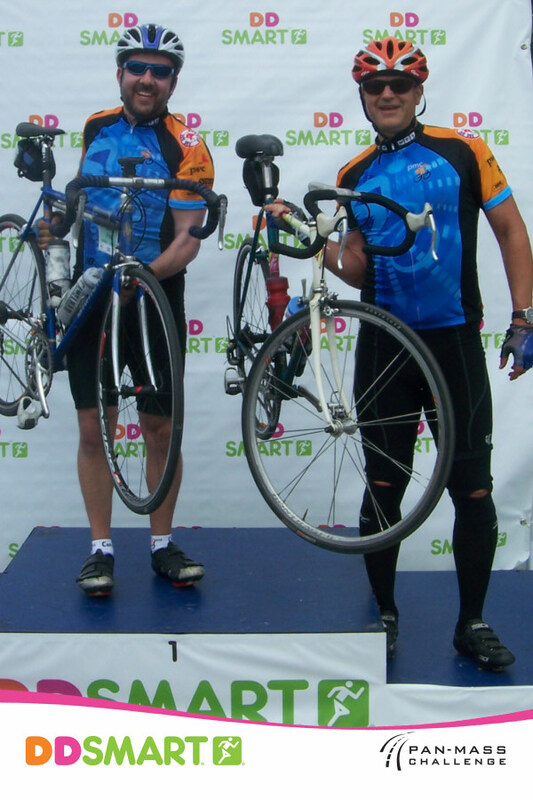 Our Pedal Partner is a young man named Declan Rourke who has undergone many rounds of surgery and other treatment for a rare spine and brain cancer that histirically was almost always fatal. Today Declan is cancer free and outcomes for other children affected by this disease have improved substantially. The treatments that have saved Declan's life were developed by Dana Farber, not a pharmaceutical company. The genes that these treatments target are at the root of many other types of cancers. It is likely that more lives will be saved because of therapies whose development was financed by private donations through the PMC and the Jimmy Fund. The support of my friends and family in this mission means so much to me. I feel closer to everyone who helps me and the Jimmy Fund. I appreciate that support and hope to make this Ride the most productive ever.